Perfectly located just across street from the Green Monster, this sports bar had dozens of Panasonic flat panel televisions showing any and every sporting event being broadcasted (although most were showing Red Sox pre-game commentary). There were also plenty of EAW loudspeakers providing clean, well-balanced program audio at even levels throughout the bar and restaurant. If you were watching a Red sox game in this bar, you would not miss a thing, no matter where you were seated. My favorite part was the restroom. Wait, that came out wrong… ah crap… it just keeps going… must push on with blog... What I meant was, there were displays above the urinals and the sinks, and speakers in the ceiling, and as an AV geek, I was impressed. I wondered what the other patrons were thinking as I was taking photos in the restroom? Now get your head out of the toilet, and tell me about your favorite sports bar install. I’m impressed that they went so far to install systems in the restrooms… That’s dedication! I want to visit this Sports Bar. 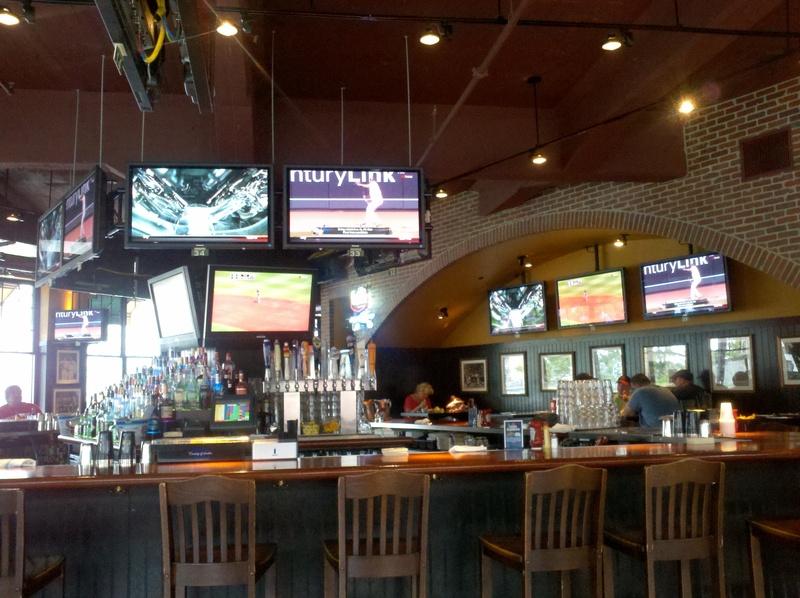 My favorite is an Orlando Sports Bar mostly because of the impressive atmosphere, after all good drinks and food go along way – but you need to be most comfortable to enjoy a game! My absolute favorite is the hard rock in Orlando, they have a monster screen – not sure of the size, but it’s huge. Great for large crowds.